Party City: Solo cups and coffee cups are buy 1 get 1 free! Planning on throwing the party of the century? Be sure to stop by Party City to get all your party essentials. 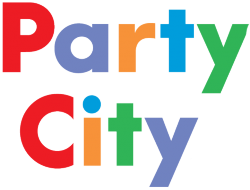 The popular party store is a one-stop shop for party decor and supplies, offering a great selection of colours, themes and seasonal party must-haves at their physical store locations and online on the Party City website. PARTY HARDER WITH PARTY CITY COUPONS! Click on the deal you'd like to use and copy the corresponding code as it appears in the pop-up window. With code in tow, head over to Partycity.ca and start shopping for your party essentials. When you've made your selections, click on the basket icon at the top, right-hand corner of the page and select "Checkout". In your basket summary, look over your order and paste your code into the "Promo Code" field below the item list. If the coupon you want to use is of the printable variety, redeeming it is even easier. Simply click on the deal and your coupon will display in a new tab on your browser. Print it out or save it to your mobile device to display at your nearest Party City location. Find everything you need for any themed party at Party City. They’ve got decorations, costumes, candy, gifts and so much more at the best prices when you start here.